We have a local little bar that makes homemade soup. One of the employees makes all her own recipes and keeps those recipes to herself. She makes a Cheesy Potato soup that is out of this world. And, it took me numerous trips to realize the cheese she was using was smoked gouda. The smoked gouda cheese made the soup. There were days I would drive the hour to the bar only to find she had sold out of the soup. It is that good! Smoked Gouda is a soft cheese. Shredding it by hand is just about impossible. I sliced and chunked up the wedge I got at the store and then added it to the liquid. It melted quicker this way and save my hand from trying to shred it. 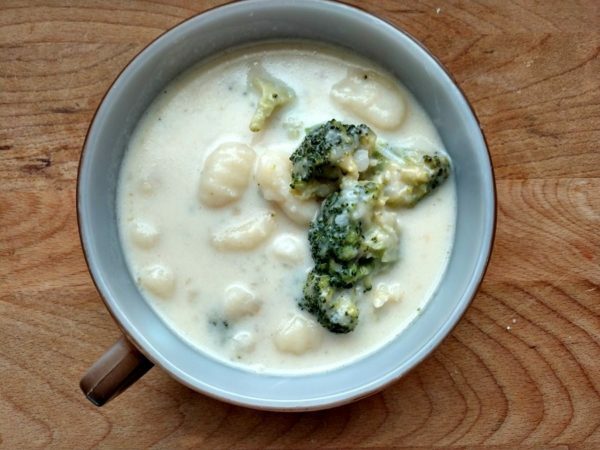 Gnocchi and Smoked Gouda cheese make this delicious soup cooked in the slow cooker. Tasty and easy to make. 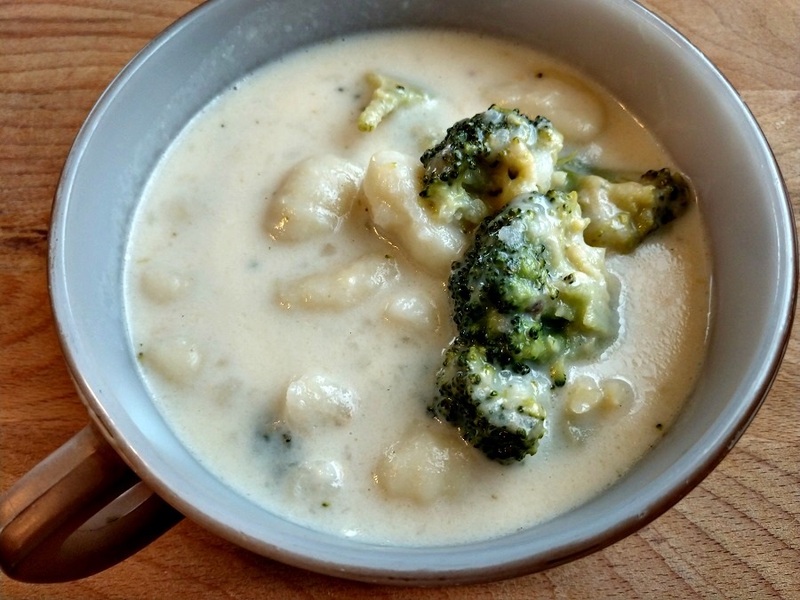 Add the chicken broth (or vegetable broth) , chopped potato, milk and the broccoli florets to the slow cooker. Using a potato masher, mash the potato in the slow cooker. Add in the gnocchi and the chopped gouda cheese. Cover and cook an additional 1 hour on LOW stirring periodically until the gouda cheese has melted and has mixed with the liquid. Serve with grilled bread slices.